Probably being able to share my passion about some books with other people, and to get to know new books and authors. It's amazing. I blog mostly about Young-Adult Fantasy books. I also blog about Contemporary YA, but right now I'm on a fantasy mood, which means my life revolves around fantasy and so does my blog. This is one of the hardest questions ever. I really love every book on the Throne of Glass series by Sarah J Maas, and Stolen Songbird and all the The Lunar Chronicles' books. I can't chose between these, it's too painful. I've met some new people and I've had the chance to review books and talk about books without being weird-looked-at. I can't say I have many friends who like to read as I do where I live, so book blogging gave me the chance to, as I said before, share my passion about books with people who care about it. And that's probably the best thing about it. 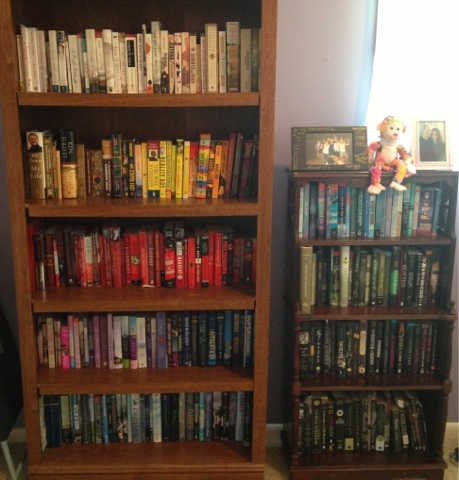 Question of the Week: How do you organize your books? Either at home on your bookshelves or on your reading-device, or on your bookish platform like Goodreads, Leafmarks or Booklikes. 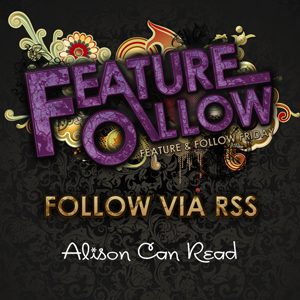 - Suggested by Unconventional Book Views. Easy answer. I don't. That's not entirely true. A few years ago, I reorganized my bookshelves into a gorgeous rainbow assortment. 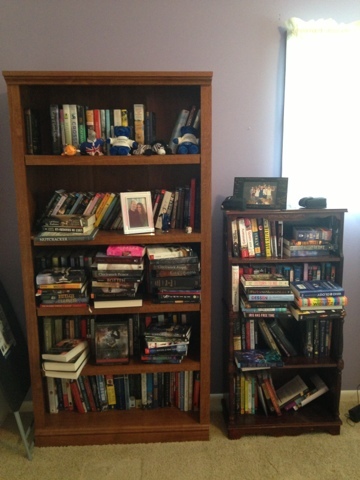 That's not including the books randomly stacked on the floor and other shelves. Actually I think this photo, also from a few years ago, is better looking than my shelves are now. As for how my books are electronically organized, I list all my books on Goodreads after I've finished them. I vaguely categorize them into Fiction, Nonfiction, Children/YA, and Manga. I don't have a list for TBR on Goodreads because I've found that makes my personal cataloging messy. How do you write your reviews? - Suggested by Blue Books and Butterflies. You are 10x more braver to post a photo of your current bookshelf then I am haha. I use to be super organized but now am super disorganized. I am better at it on goodreads then in real life. I'm jealous of your shelves organized or not! Jealous of the rainbow shelves! I just try to keep all my unread books to the top of the list on my e-reader so they don't get lost! I love the color coordination!!! I usually organzie my shelves alphabetically by author. Makes it easier to find what I want to read. How fun with the colors. I read mostly ebooks these days so my bookshelves have been saved the wear and strain of so many books. I never thought I would like ebooks but now I love them so much more than "real" books. Your second pic is pretty much what mine looked like till a few weeks ago when I started trying to organize..I am sure if won't last..lol. My bookshelves look like yours (the second picture). I'm not even going to put a picture of them they're so bad! Plus, let's not mention all the randoms lying about. Haha mine have looked like that for sure. But I have to keep them organized so my kids don't get to them. They have their own rooms plus a playroom & they still want to mess my things up. I don't get it lol.